We have you covered in Tri-Cities! If you are in the Tri-Cities and need a guaranteed striping project done right the first time , then we can definitely help. Columbia Basin Striping is a U.S. Veteran owned company. We are licensed, bonded and insured. Our crews work nights, weekends, and even holidays to respect your customers and your hours of operation. 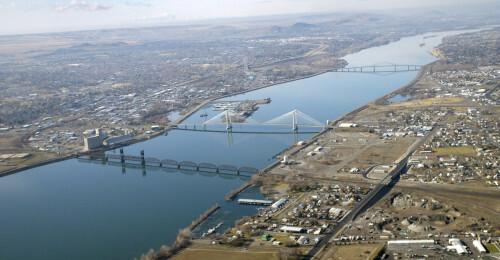 The cities connect from the Yakima, Snake, and Columbia rivers in the semi-arid region of Southeastern Washington. A fourth neighboring city, West Richland, is generally included as part of the Tri-City area and region, as are a handful of unincorporated communities. Our project estimates and new lot layouts are always free. For new parking lots, ADA signage, to re-striping mega complexes our team is ready for your call.